I get a lot of compliments on my hair, and I guess it does have a lot of qualities that others strive for - my hair is naturally blonde and thick in texture. Having only ever dyed/highlighted it a few times, my hair is also in pretty good condition. However, there are also a few products I use to keep my hair feeling soft and full of life which I'm going to share with you! This post is written in collaboration with the fab new Panosonic hair dryer which I'll be telling you more about later on. Step 1. Wash & Condition I wash my hair every 2-3 days to ensure I'm not stripping it of all the natural oils too often, which can actually make it greasier in the long run. My current favourite shampoo and conditioner are ones that I mentioned in a previous post which you can read about here. 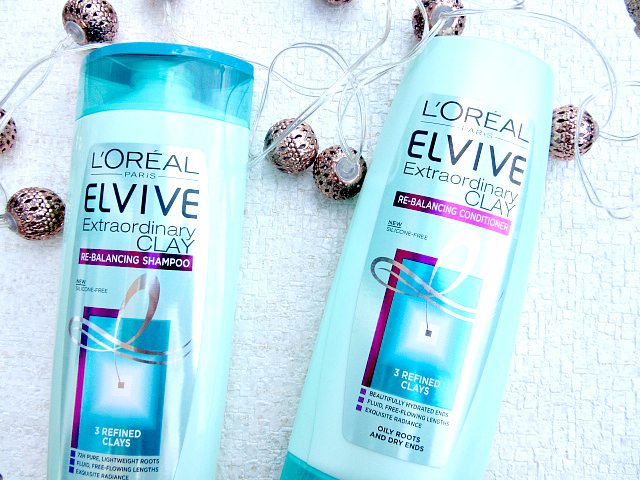 I've been loving L'oreal Paris Elvive Extraordinary Clay shampoo and conditioner for a few reasons: I love the scent as it's very fresh and exactly the kind of scent I like in my hair. It also leaves my hair feeling really clean, light and soft. On the topic of shampoo, my most popular blog post is about the ingredients you can find in a lot of high street shampoos and conditioners, so if you're interested in learning a little more about that, head over and have a read here! Step 2. Deep Condition This is a step I only do once or twice a fortnight when I feel my hair is lacking and needs some extra hydration. 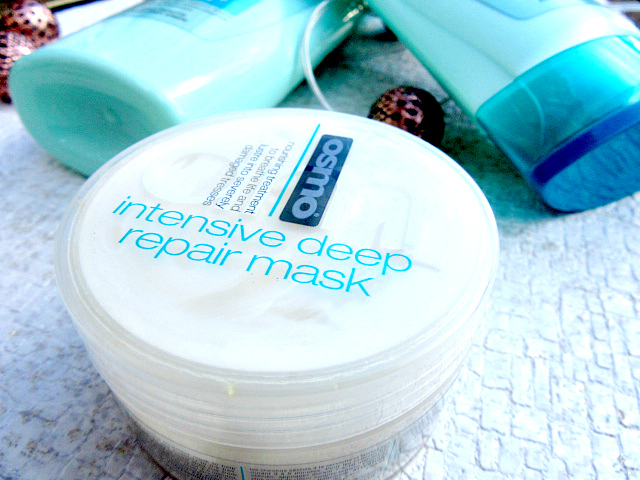 The Osmo Intensive Deep Repair Mask is so affordable and feels really luxurious on my hair. It's a super thick texture and has a unique scent that's really hard to describe - it's a good scent though! I use this mainly from mid to the ends of my hair but I like to scrape the excess through the roots which I think works well and doesn't make it greasy like some masks can do! Step 3. Protect and Blow-dry If I've got time, I'll blow-dry my hair (upside down for extra volume). However, I always make sure I use a good heat protector as well to keep my hair in a good condition. I love this VO5 hair protecting cream as it's super silky and smells amazing. But back to blow-drying: if you're in the market for a great hairdryer, I'd urge you to check out the Panasonic EH-NA65 hairdryer, which uses nano technology to keep your hair smooth and silky while still maintaining performance. You can read more about it and purchase this Panasonic hair dryer here. Step 4. 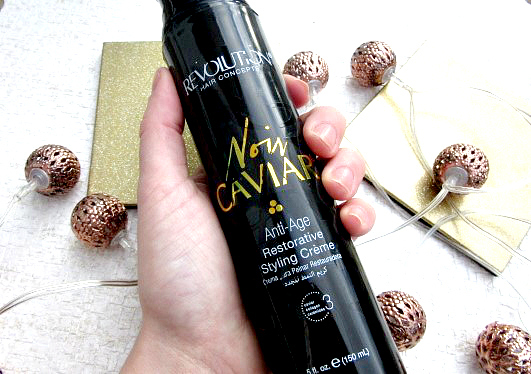 Restore & Style Once my hair is dry, I like to keep it smooth with either an oil or this Noir Caviar restorative styling creme from Revolution Hair Concepts. 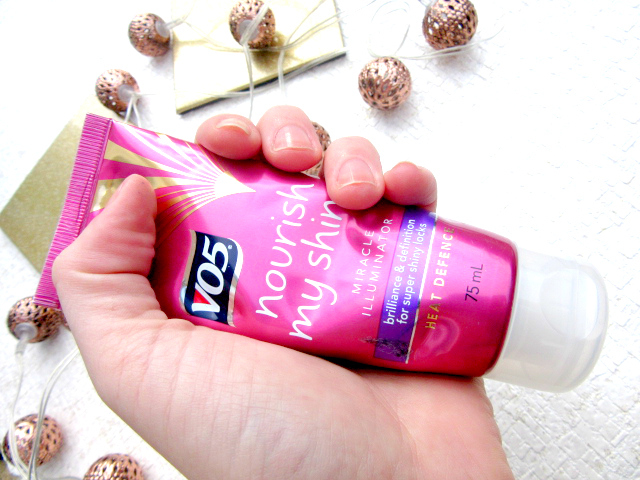 You only need a tiny amount of this product so one bottle has lasted me ages! I just comb it mainly through the ends of my hair and gently through the roots which stops it from becoming frizzy. That's it! I really think these products make a difference to the condition and style of my hair, and I'm loving this current routine. Let me know in the comments what your favourite hair products are - I'm always looking for more recommendations!